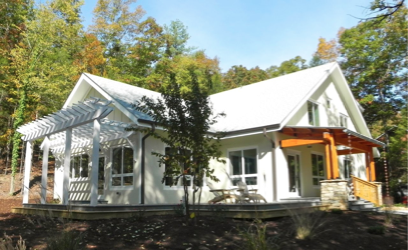 This house will be the second certified Passive House in North Carolina (certification pending). Like the Kenmore Road Residence, it uses dramatically less energy to heat and cool than a typical new house, but uses an Energy Recovery Ventilator to continually introduce fresh air. The front porch and deck have a view to the lake.